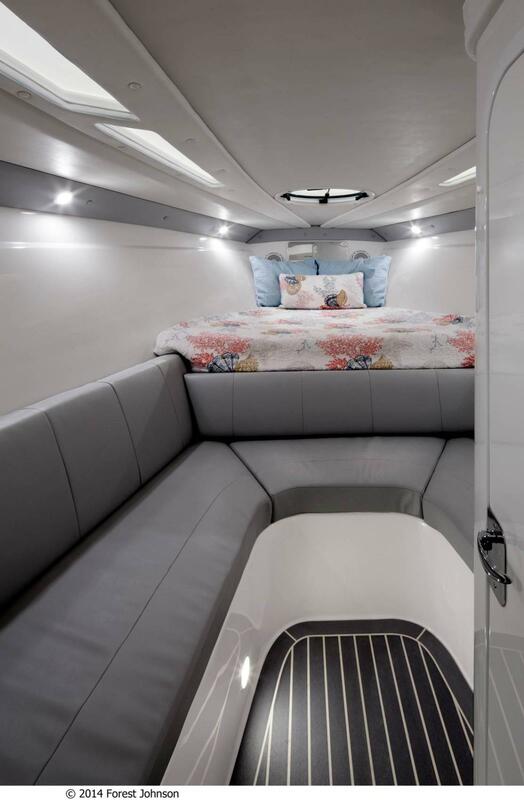 Built for families that love spending time on the open ocean, the Concept 39’ Cuddy Series is ideal for discovering new waters in absolute comfort and style. 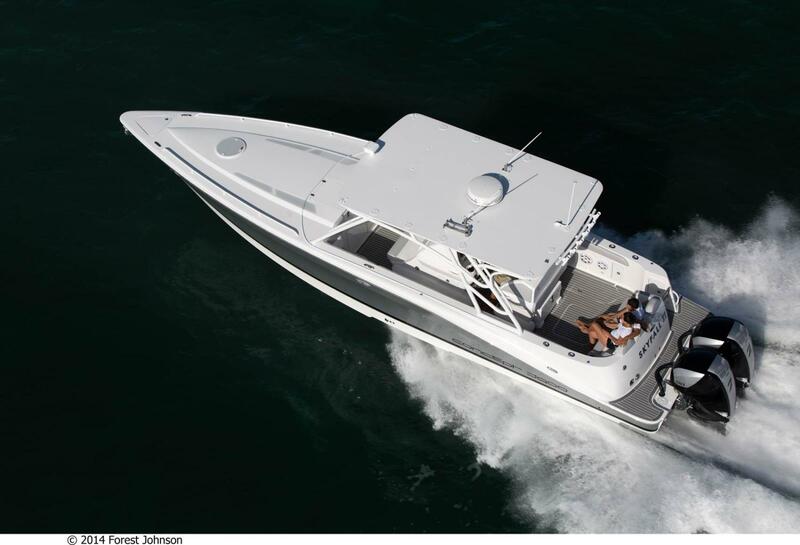 The deep-V hull handles choppy water and enhances directional stability, while aggressive chines and high freeboard keep everyone aboard comfy and dry. 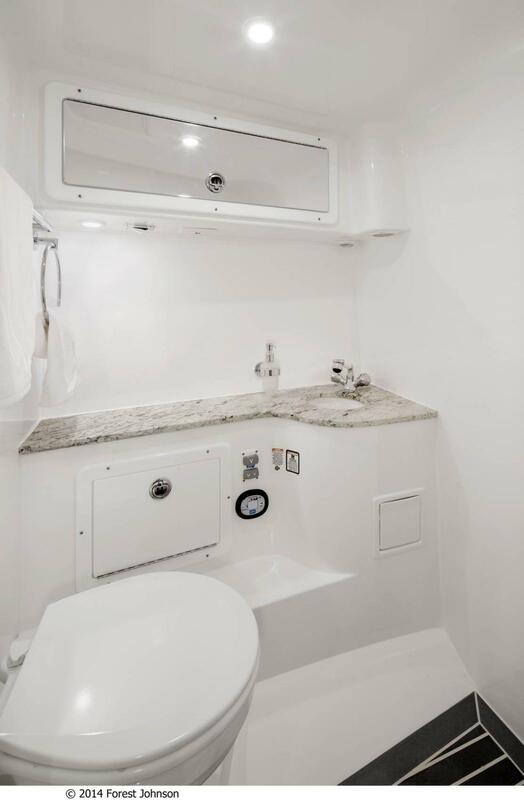 The cozy cuddy cabin features a full size berth and ample seating along with a sink and a marine head. 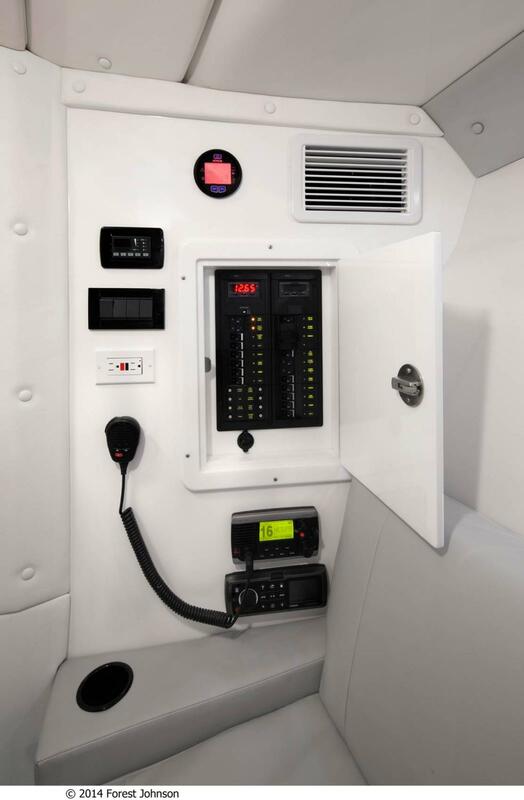 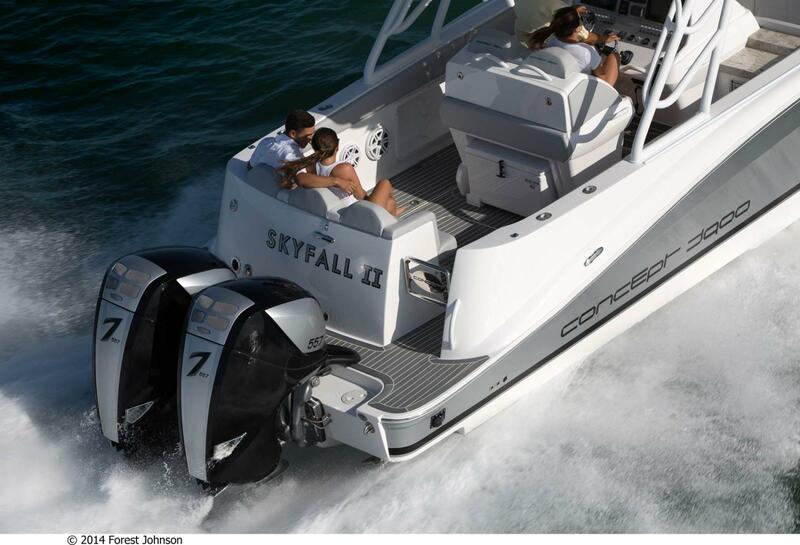 Above deck you can choose from a variety of seating options, high-end sound systems and custom graphics. 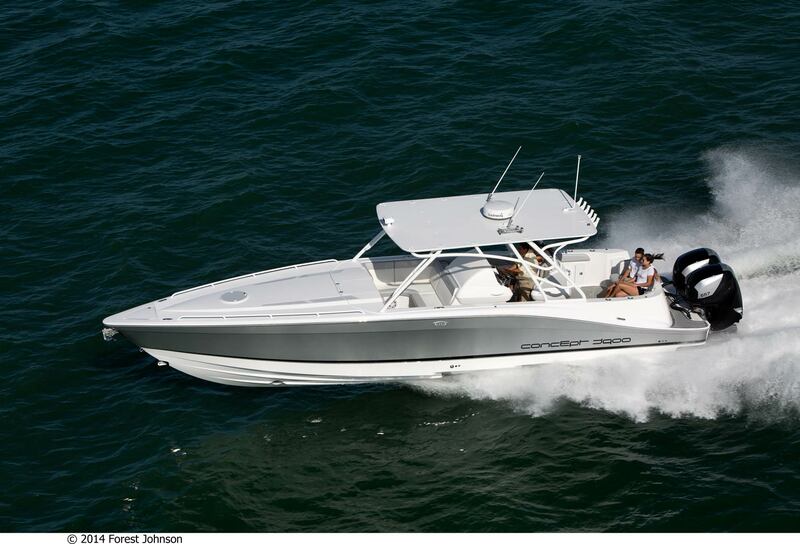 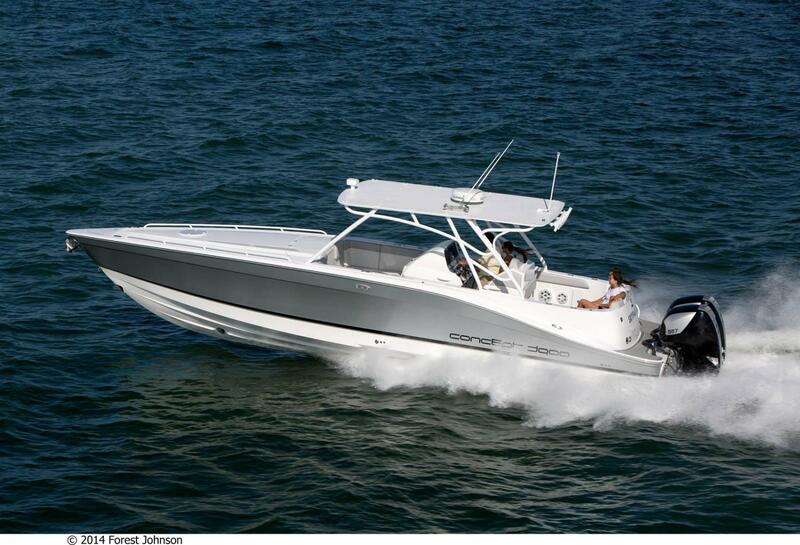 The Concept 39’ Cuddy Series is ideal for discovering new waters in absolute comfort and style. 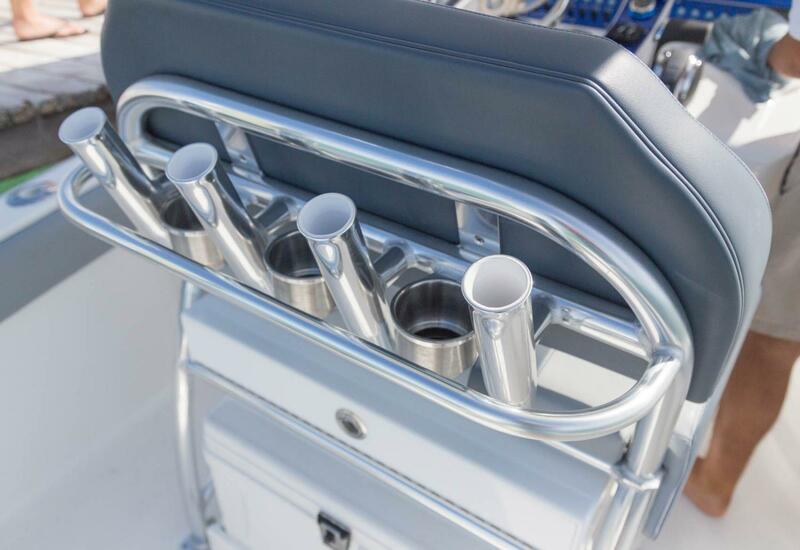 For a truly distinct style, customize the 39′ Cuddy Series to include everything you need for your kind of open water pursuits. 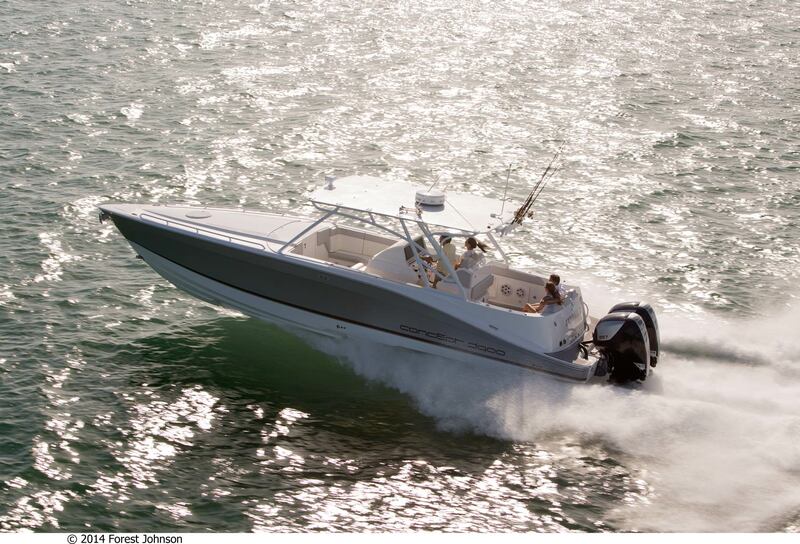 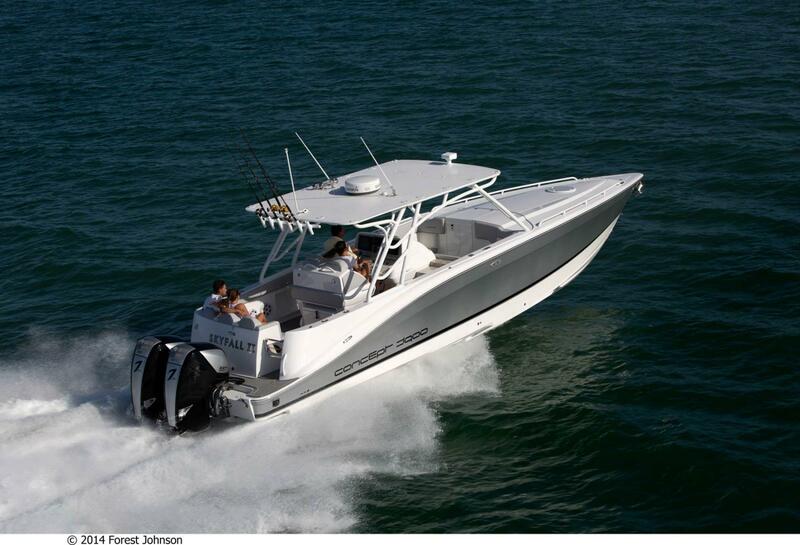 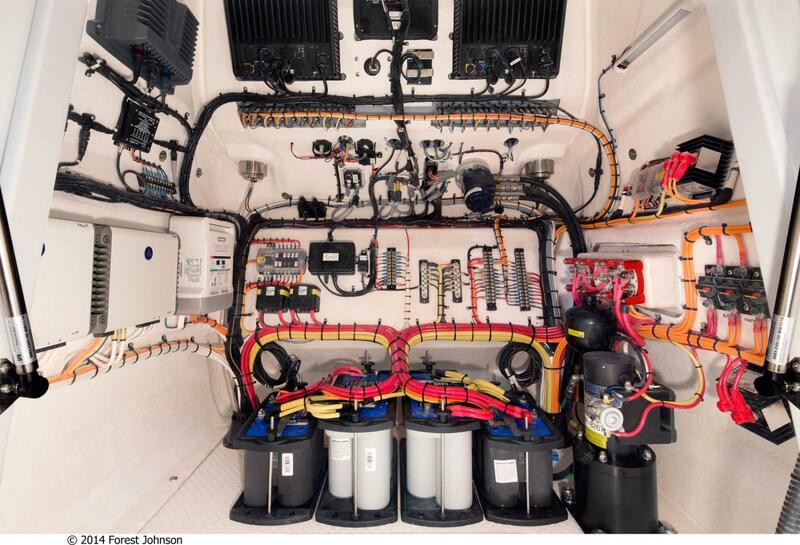 Outboard power options include triple or quad engines, and even Seven Marine high-performance motors. 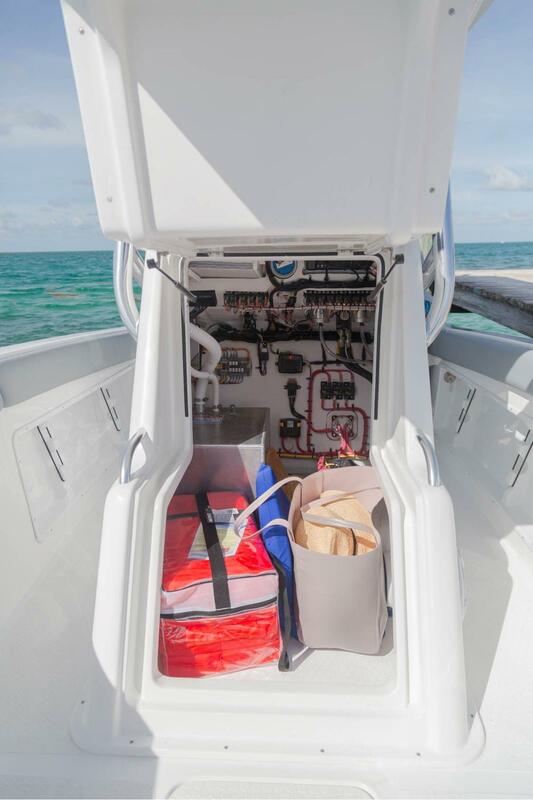 Equip the cabin with A/C for a cooler ride, add an electric stove and an ice maker to prepare lunch on the spot, and upgrade your cabin with a flat screen TV and game console for endless hours of offshore entertainment.